POWER! 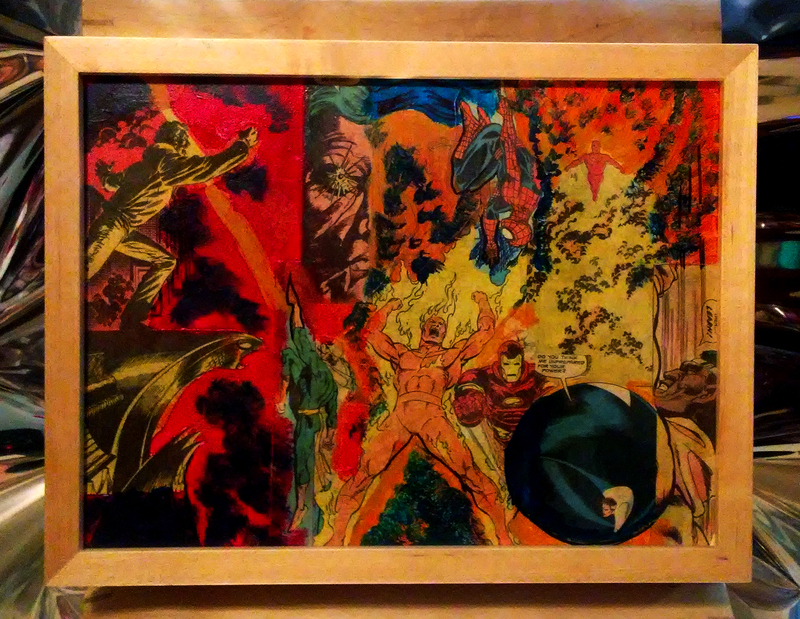 is a collage of classic marvel comic book pages. Featuring Luke Cage, Iron Fist, Mr. Fantastic, Human Torch and more! Framed in wood with a metal ledge for easy hanging!